Dyscrasite: Mineral information, data and localities. From δνσκράσις, a bad alloy. This page provides mineralogical data about Dyscrasite. Silver 91 photos of Dyscrasite associated with Silver on mindat.org. Calcite 62 photos of Dyscrasite associated with Calcite on mindat.org. Allargentum 60 photos of Dyscrasite associated with Allargentum on mindat.org. Actinolite 36 photos of Dyscrasite associated with Actinolite on mindat.org. Arsenic 28 photos of Dyscrasite associated with Arsenic on mindat.org. Stibarsen 16 photos of Dyscrasite associated with Stibarsen on mindat.org. Löllingite 7 photos of Dyscrasite associated with Löllingite on mindat.org. Antimony 3 photos of Dyscrasite associated with Antimony on mindat.org. Pyrargyrite 3 photos of Dyscrasite associated with Pyrargyrite on mindat.org. 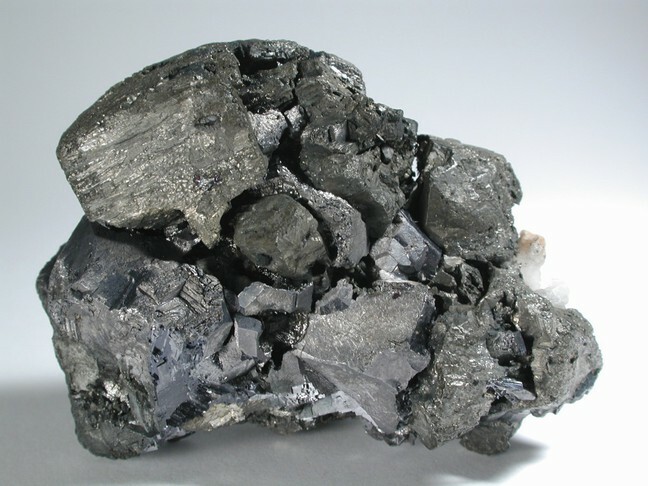 Acanthite 2 photos of Dyscrasite associated with Acanthite on mindat.org. Klaproth, M.H. (1797) Untersuchung des Spießglanzsilbers von Wolfach, Beiträge zur chemischen Kenntniss der Mineralkörper, Zweiter Band, Rottmann Berlin, 298-301. Peacock, M. A. (1940): Dyscrasite and antimonial silver. University of Toronto Studies, Geological Series No. 44, 31-46. Palache, Charles, Harry Berman & Clifford Frondel (1944) The System of Mineralogy of James Dwight Dana and Edward Salisbury Dana Yale University 1837-1892, Volume I: Elements, Sulfides, Sulfosalts, Oxides. John Wiley and Sons, Inc., New York. 7th edition, revised and enlarged, 834pp. : 173-175. Canadian Mineralogist (1973) 11: 187-195. European Journal of Mineralogy: 8: 1347-1350. 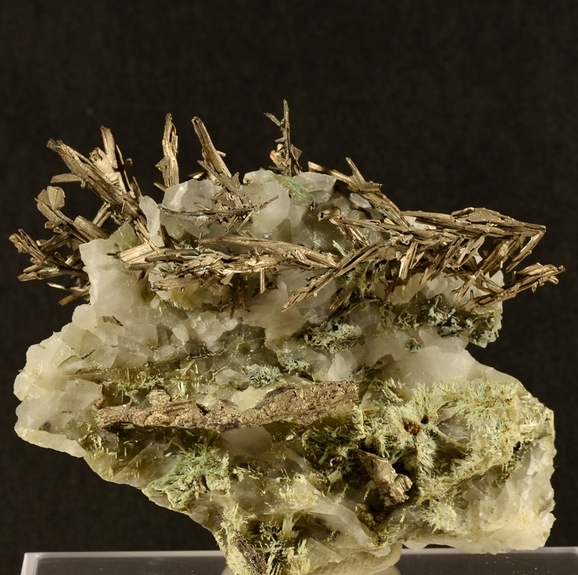 The following Dyscrasite specimens are currently listed for sale on minfind.com. Rocks & Min.:62:224-225. ; L.Lawrence, A.R.Ramsden & I.T.Graham 1999. On oxidation of Dyscrasite and associated minerals of the Consols Lode, Broken Hill, New South Wales. Australian Journal of Mineralogy Vol.5, No.2, Dec.1999, pp. 63-68; Vera Munro-Smith (2006) Cobalt Mineralisation in Selected Australian Deposits. PhD thesis, University of Western Sydney. 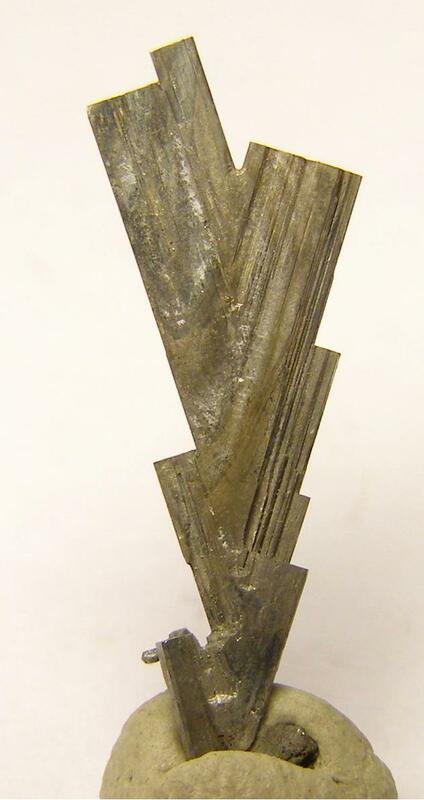 Xu, G. (1997): Mineralium Deposita 32, 58-69.
ⓘ Paris silver deposit ? Burns, K. L. (1964) Devonport : one mile geological map series, K55-6-29 [Hobart, Tas.] : Tasmania Dept. of Mines 1964. Satterly, J. 1977: A Catalogue of the Ontario Localities Represented by the Mineral Collection of the Royal Ontario Museum; Ontario Geological Survey Miscellaneous Paper MP70, p. 138. Sabina, Ann P., Geological Survey of Canada Miscellaneous Report 57, Nipissing 404, page 32. Ettler, V., Červinka, R., Johan, Z. (2009): Mineralogy of medieval slags from lead and silver smelting (Bohutín, Příbram district, Czech Republic): towards estimation of historical smelting conditions. Archaeometry 51, 987-1007. Kojonen, K., Johanson, B., O´Brien, H. E. and Pakkanen, L. (1993): Mineralogy of gold occurrences in the late archean Hattu schist belt, Ilomantsi, Eastern Finland. Geological Survey of Finland, Special Paper 17: 233-271. Boisard, L. (1872): Notice minéralogique sur la mine de la Pacaudière, Loire. Annales de la Société industrielle de Lyon, année 1871, 103-124. ; Chollet, P. & Devouard, B. (2013): La mine de cuivre et de plomb des Rats, Le Crozet (Loire). Le Règne Minéral, 109, 7-46. Klaproth, M.H. (1797): Untersuchung des Spießglanzsilbers von Wolfach, Beiträge zur chemischen Kenntniss der Mineralkörper, Zweiter Band, Rottmann Berlin, 298-301; Sebastian Staude, Thomas Wagner and Gregor Markl (2007): Mineralogy, mineral compositions and fluid evolution at the Wenzel hydrothermal deposit, southern germany: implications for the formation of Kongsberg-type silver deposits. Can. Mineral. 45, 1147-1176. Neumann, H. (1944): Silver deposits at Kongsberg. Norges Geologiske Undersøkelse 162, p. 54 - 55; Kullerud, K., Kotková, J. & Škoda (2016): Ag-Sb bearing minerals from the Kongsberg Silver Deposit, Buskerud, Norway. Norsk mineralsymposium 2016, 53-59.
ⓘ Jonsknutens Silver Prospect (Jonsknut Prospects) ? Brünnich, M. L. (1777): Forsøg til Mineralogie for Norge. 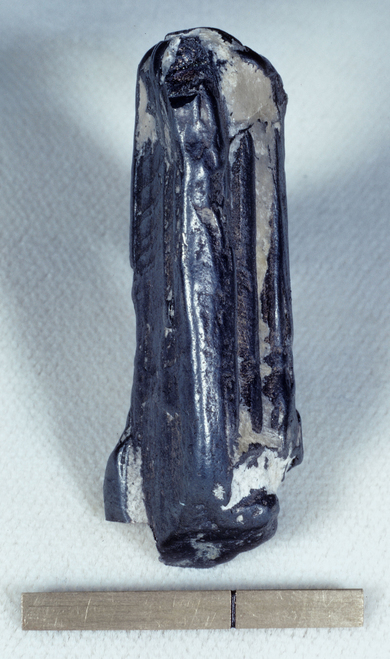 Priskrift, Trondhjem p. 22, Neumann, H. (1985): Norges Mineraler. Norges geologiske Undersøkelse Skrifter 68,p. 12. Hak J. & Losert J., 1962: O poverfenském zrudnění u Trangošky v Nízkých Tatrách. Sborník Ústavu nerostných surovin, 57-121. Stalder, H. A., Wagner, A., Graeser, S. and Stuker, P. (1998): Mineralienlexikon der Schweiz. Wepf (Basel), p. 144. Anthony, J.W., et al (1995), Mineralogy of Arizona, 3rd.ed. : 210; Schrader, F.C. (1917), The geologic distribution and genesis of the metals in the Santa Rita-Patagonia Mountains, AZ, Econ.Geol. : 12: 237-269. Anthony, J.W., et al (1995), Mineralogy of Arizona, 3rd.ed. : 210; Schrader, F.C. (1917), The geologic distribution and genesis of the metals in the Santa Rita-Patagonia Mountains, Arizona, Econ.Geol. : 12: 237-269.
ⓘ Cleopatra Group Mine (Cleopatra Mine; Aces Up Mine) ? Adams, G. (1996) Geology of the Lynne base metal deposit, north-central Wisconsin, U.S.A. in LaBerge, G. L., Ed., Volcanogenic massive sulfide deposits of northern Wisconsin: A commemorative volume: Institute on Lake Superior Geology Proceedings, 42nd Annual Meeting, Cable, WI, v. 42, part 2: 161- 179.